Budget 2018 reflects India’s aggressive efforts to plug leakage of tax on income that has its source in India. By transposing the yet recommendatory BEPS Action 1 and 7 and aligning the definition of ‘business connection’ to fall in line with Article 12 of the MLI, the Budget proposes to significantly broaden the all-important concept of ‘Business Connection’. As one of the barometers to determine taxability in India, the enlargement will bring to tax substantial income which hitherto was supposedly untaxed in India. (iii) for the provision of services by the non-resident. Secondly, the new definition is also conspicuous by the removal of reference to activities that do not lead to business connection, i.e., those confined to purchase of goods or merchandise. In other words, this gives rise to the possibility that even a principal role played leading to conclusion of contracts of purchase of goods or merchandise for the non-resident could lead to ‘business connection’. The challenge of course, will be on attribution of any income to such an activity. But, the key element that is to be noted is that, it is no longer possible to avoid ‘business connection’ by ‘fragmenting’ the functions of the Indian Agent in such a way that he does not eventually conclude contracts though he does all that is necessary, short of concluding the contract. In other words, under the new dispensation, if it is shown by Revenue that the Agent played a principal role leading to conclusion of contracts by the Non-Resident, the Agent will constitute a Business Connection for the Non-Resident leading to taxation in India of income attributable to activities carried on by the Agent. Admittedly, what is ‘principal role’ can be litigious. The substitution of ‘significant economic presence’ (SEP) as a proxy for business connection (instead of ‘physical presence’) reflects the inadequacy of the latter to measure economic allegiance with the source country, particularly due to the transformative process brought about by the Information and Communication Technology. The new initiative will bring many new-age businesses carried on through digital technology ( but with no physical presence) under the ambit of ‘business connection’ depending on the number of users and the aggregate payments made therefor, which will be separately prescribed. The substitution of Explanation 2 can be traced to India adopting – in all its Treaties - Article 12 of MLI which deals with artificial avoidance of PE. The new Explanation is largely identical to Article 12. Currently, countries such as Netherlands and France have notified India with respect to Article 12 and hence the DTAAs with both countries have to be read along with Article 12 of MLI in place of the pre-existing DAPE sub-article. As for those resident in other countries, they can continue to enjoy tax-arbitrage till such time their countries notify India of their acceptance of Article 12. 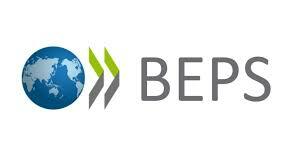 The OECD work on tackling the challenges of digital economy (BEPS Action Plan 1) shows that an enterprise that generates significant revenues from in-country customers and has features indicating either targeting of customers in that country through digital means or substantial interaction with users in that country may be considered to have a taxable presence in that country based on SEP. Although the report does not recommend the adoption of such an option as an international standard, a country is free to do so if it considers that it is needed to tackle BEPS issues. The insertion of Explanation 2A is a direct fall out of India’s acceptance of BEPS Action 1. India should perhaps be one of the front runners in adopting BEPS Action 1 into domestic law to tax profits where economic activities are created and value is added. Having said that, it has to be noted that this enlargement in definition of ‘business connection’ in domestic law would not impact Non-Residents as the definition of PE in treaties is still narrow enough. Hence as long as the definition of PE remains unamended in the Treaties, Non-Residents in treaty countries can still manage to escape tax in India. Overall, these amendments will certainly herald changes to DTAAs in the future – a view that has been confirmed by the Central Board of Direct Taxes soon after the Budget.